★ Emotional music journey through Burtonean multicolored spaces by sprites of emotion! Ivory Street is a rising rock band from Ukraine who incorporates into their own songs, hopeful and emotional lyrics with funky bass-lines, solid percussion hits, outstanding guitar riffs and an especially voice that wraps all around with, giving a magical plus to each of their music productions and Modjo isn’t the exception. 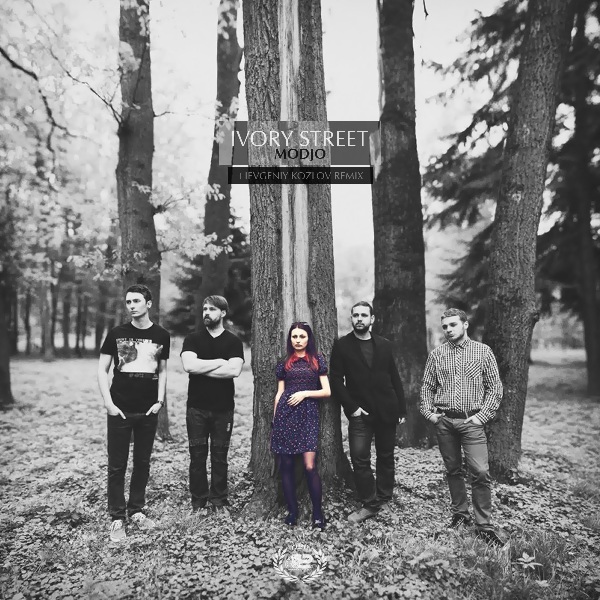 Here the band put together best of their skills to produce an overwhelming piece by quite emotional lyrics that surround kind of sweet melodies as none other band fits with so naturally as Ivory Street does. Inspired in love, the band drives through a world of memories and hopefully emotions as a solid and complemented team they are on stage. To make things as possible as best, Ievgeniy Kozlov brings a cinematic soundscapes remix, inspired in the original voice but adding part of his music arsenal to produce an undoubtedly version that shine by its own. As characteristic blend of a high-quality producer, Ievgeniy Kozlov has under his belt a tight list of upfront remixes including some industry makers and rising talents the likes of Jeff Bennett, Mauro Norti, Lukasz Napora and Eike Voigt only to name a few. Hypnotic bass-lines and magic pianos taken from a Burtonian film over solid minimal-tech rhythms are the face of this Czech but Ukrainian established talent with a clear style as forward-thinking brand to follow. Remixes are being cooked. Watch this space!